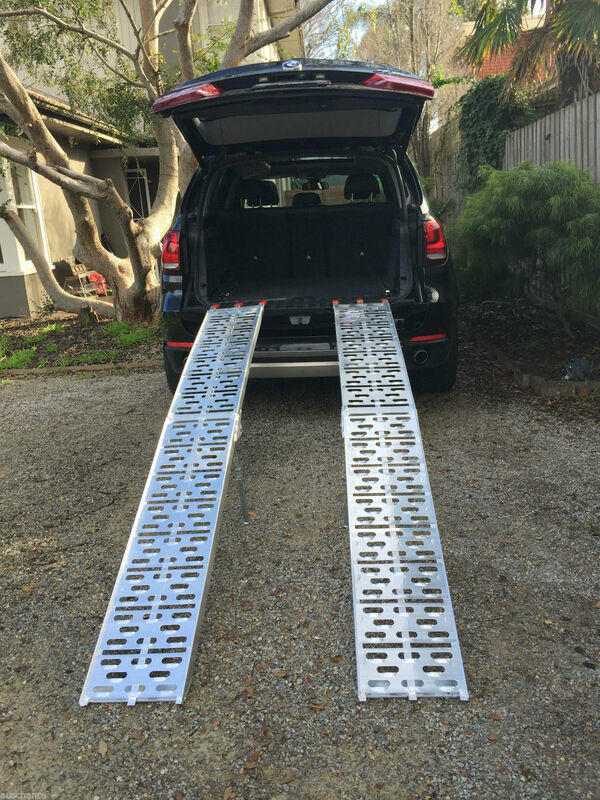 2.3 METRE LOADING RAMPS FOR UTE OR BOX TRAILER MOTORBIKE MOWER ETC. 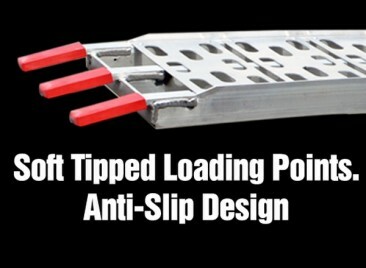 PLEASE DO NOT CALL ASKING TO HIRE OUTSIDE OF TOOLMATES AS THEY ARE MY ONLY SAFETY NET PROTECTING ME. 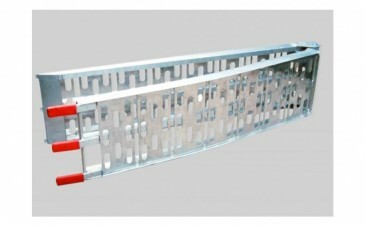 I WOULD NEVER NORMALLY LOAN/RENT/HIRE ANYTHING I OWN IF IT WASN'T FOR TMH. YOUR RESPECT IN THIS MATTER IS APPRECIATED. 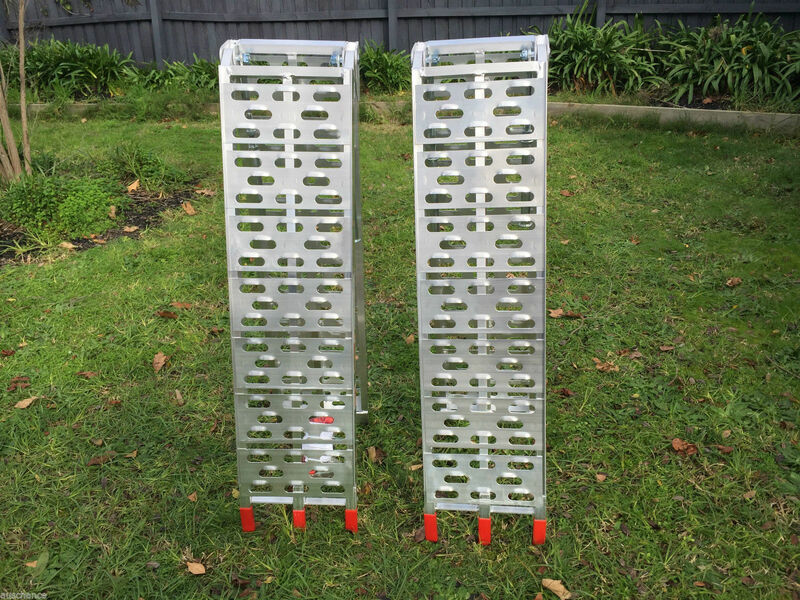 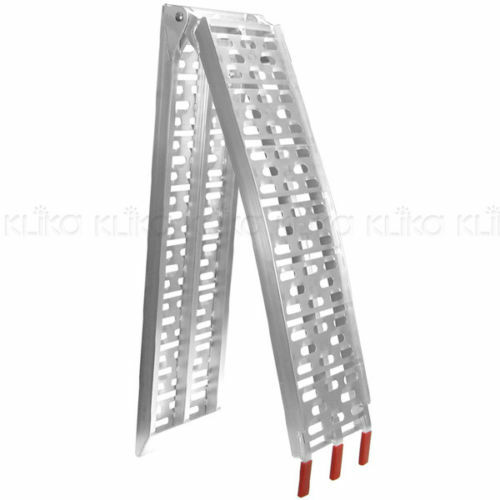 ALUMINIUM FOLDING LOADING RAMPS FOR RIDE ON MOWER, ATV, QUAD, MOTO X DIRT TRAIL BIKE, MACHINERY GARDEN EQUIPMENT ETC IN TO YOUR UTE OR TRAILER. 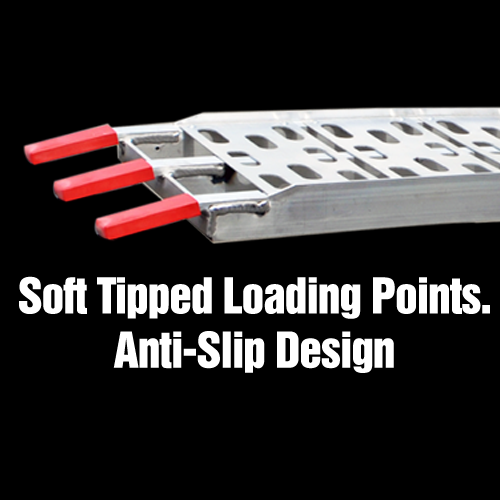 RATED TO 180KG EACH, INCLUDES TIE STRAP TO SECURE TO VEHICLE WHILST LOADING. We apologise, but it looks like this ToolMates Hire user did not respond to your question. This listing you asked a question about was for loading ramps to be used with a box trailer or ute, to help loading wheeled items. It was not a trailer for hire. 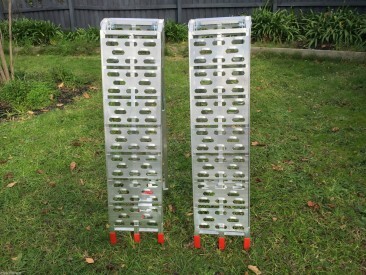 I'm sure you have probably sorted your rubbish now, but if you need anything else, please do not hesitate to get in touch with me directly at info@toolmateshire.com.au for a prompt response.